The Republic of Venice (also known the the Venetian Empire) rose from its humble beginnings in the late 7th century AD – initially founded by a band of coastal refugees, to become one of the greatest maritime European powers of the High and Late Medieval periods – whose numerous holds stretched across the Adriatic coast and various surrounding islands. A significant magnitude of the Venetian might was bolstered by a nexus of commercial strongholds and trade networks. 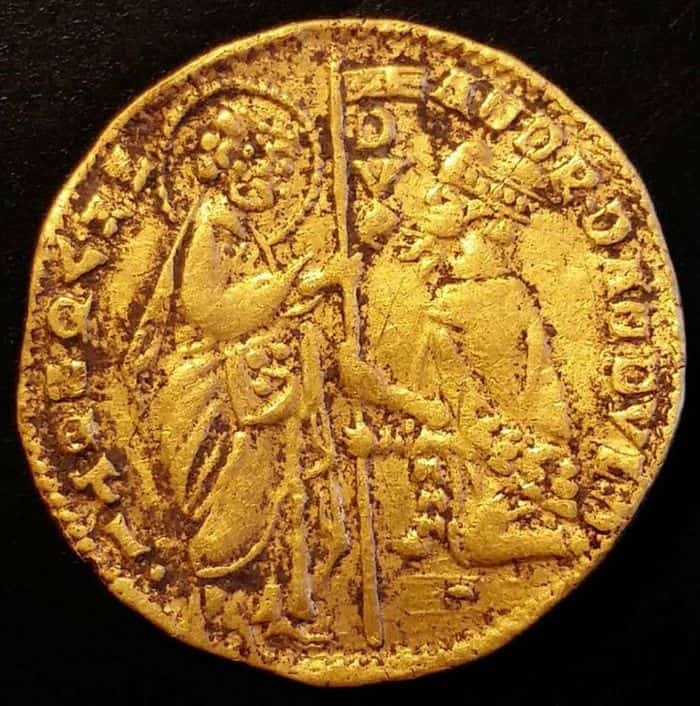 Pertaining to the latter, a newly discovered Venetian gold coin from Sweden alludes to the extent of their commercial influence in European lands. The ducat was found in Elleholm, a medieval river-island trading port whose ruins are all but lost to the rigors of time. 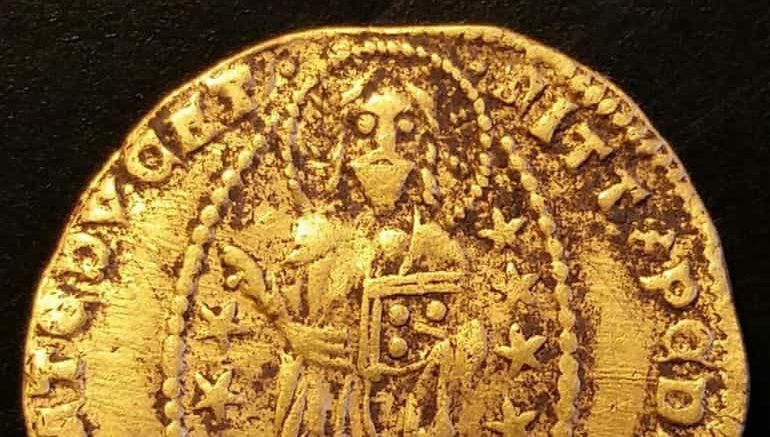 To find the first coin ever found in Sweden from the medieval Venice here, suggests it was an international trading port. 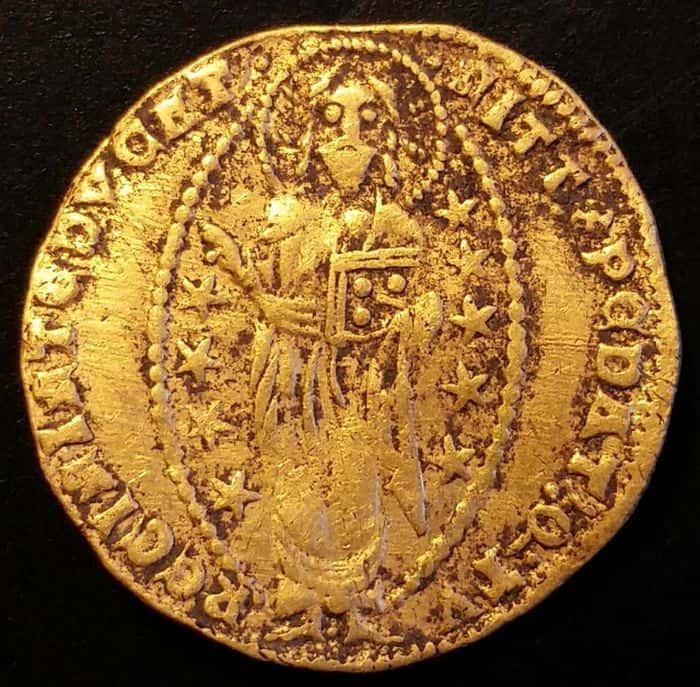 Of course, when you find coins from Italy in the Archbishop’s city, it’s tempting to think that it has something to do with ties to Italy and to the Pope. But that is just a hypothesis. Focusing on Elleholm, the researchers from the Blekinge Museum surmised how this port city was an important commercial center of the region. For example, a dendrochronological study confirmed how the settlement, originally situated on an island in the middle of a river, was already connected by a bridge in the 14th century, thus suggesting its strategic value as a port even before it became a recognized city (in the 15th century). Furthermore, a seal from Flanders (dating from the first half of the 14th century) found at the site alludes to the active trade networks that connected Scandinavia and Western Europe. Unfortunately for Elleholm, the city already troubled by various rebellions was ultimately relegated and possibly abandoned during the Reformation Era – when the Archbishop lost much of its power. Moreover, by the 16th century, commercial merchants tended to prefer port cities by the seas (instead of rivers) for better maritime connectivity. This scope was mirrored by the transference of the port status to the nearby coastal city of Karlshamn. And lastly, in case one is interested, medieval Scandinavia, by virtue of its adventurous Norsemen inhabitants, had trade relations even with the distant Islamic realms below the Caspian Sea, as was proven by a few rare objects, including a coin inscribed with the phrase ‘For Allah’ and an 800-year old Knight chess piece.